A look at the facts about migrants seeking asylum in the United States, the legalities of doing so, and how the asylum process is supposed to work. Anti-immigrant rhetoric is currently running rampant online. Many bloggers and far-right outlets expose how little they know about immigration as they try to define their position in claiming that they are not against immigration in general, but simply against illegal immigration. Let’s not be naive about it. If you know and understand dog-whistles, then you know what and where this rhetoric was born of. It is language that has been perpetuated for over a century in the United States. What we’re hearing isn’t new. It’s just much louder. Most of it is derived from the notion that the only avenue to become a legal immigrant in the United States is to apply in one’s home country and simply wait it out as the process takes its course. While there is some truth to that, it’s not quite that simple. Nor is that the only way by which to seek legal status. In this piece, I want to focus specifically on the asylum aspect of immigration policy and law while addressing the complexities of the process. It’s not as simple as the Breitbarts and Alex Jones’ of the world would have you believe. There are only two ways to apply for asylum in the United States. One is at a port of entry, and the other is by being present in the United States. Migrants cannot apply for asylum at an embassy or consulate. Migrants cannot apply for asylum through their own government or in their home countries. This is a common misconception that has been perpetuated online and is nothing more than anti-immigrant rhetoric born of extremist group-think. To be clear, the United States Congress incorporated this definition into law as part of the Refugee Act of 1980. As a signatory to the 1967 Protocol, and through the Refugee Act of 1980, the United States has legal obligations to provide protection to those who qualify as refugees. The Refugee Act established two paths to obtain refugee status — either from abroad as a resettled refugee or from within the United States as an asylum seeker. For those migrants already in the United States, commonly referred to as illegals, there are two ways in which to apply for asylum. They are defined individually as the affirmative process and the defensive process respectively. Asylum seekers who arrive at a port of entry or enter the United States without inspection must apply through the defensive process. Affirmative Asylum is specifically for persons not in removal proceedings (deportation hearings) while Defensive Asylum is for persons who are in the removal process. While Affirmative Asylum is handled through the United States Citizenship and Immigration Services (USCIS) a division of the Department of Homeland Security (DHS), the Defensive Asylum process is handled via an immigration judge (by request only) at the Executive Office for Immigration Review (EOIR) in the Department of Justice (DOJ). Unlike criminal court, EOIR does not provide appointed counsel for persons in immigration court, even if the individual is unable to retain legal counsel on their own. When a person applies for Defensive Asylum as a defense against removal from the United States, without proper representation, they are often forced into signing documentation they do not understand and are subjected to manipulation by immigration officials. Studies have found that migrants who are detained during removal proceedings are five times less likely to secure legal counsel than those not being detained. A disparity that can affect an individual’s case significantly. Those with representation are more likely to apply for protection and are equally likely to successfully obtaining relief via asylum. It is here, through the Trump administration’s zero-tolerance policy, that families are separated and parents are coerced into signing their children away into the custody of the Office of Refugee Resettlement (ORR). Oftentimes leaving very young children to represent themselves in court. It has been determined that detention exacerbates the challenges asylum seekers already face and can negatively impact a person’s asylum application. Families who are detained, particularly children, suffer mental and physical health problems that include depression, post-traumatic stress disorder (PTSD), frequent infections and a lack of proper or expedited medical attention. The Trump administration, without going through Congress to change existing law, is not just making it more difficult for individuals to apply for and receive asylum, but it is also questioning whether applicants can access the protections as refugees which international and United States law entitles them. The asylum process is merely another casualty in the Trump administration’s relentless attack on the rights of immigrants and refugees of color. Executive order 13767, signed by Donald Trump in January 2017 instructed the secretary of homeland security to revise the process for determining credible fear of persecution. The Asylum Division of USCIS responded by releasing new lesson plans for use in training asylum officers to recognize legitimate fear. Those lesson plans create a higher standard for establishing credible fear in interviews. The changes make it easier to prevent asylum seekers with legitimate claims from accessing a full hearing in immigration court. Migrants with language barriers, complex situations, and traumatized applicants are especially vulnerable. Without hearings establishing the facts of a case, a small error on a form is often used to sabotage valid asylum claims. The DHS memo that explains these changes states that the goal is to prevent abuse of the system. But this representation is a serious distortion of the purpose of the credible fear process and ignores the structural obstacles preventing legitimate asylum seekers from succeeding in their claims. Such as over-detention and under-representation. 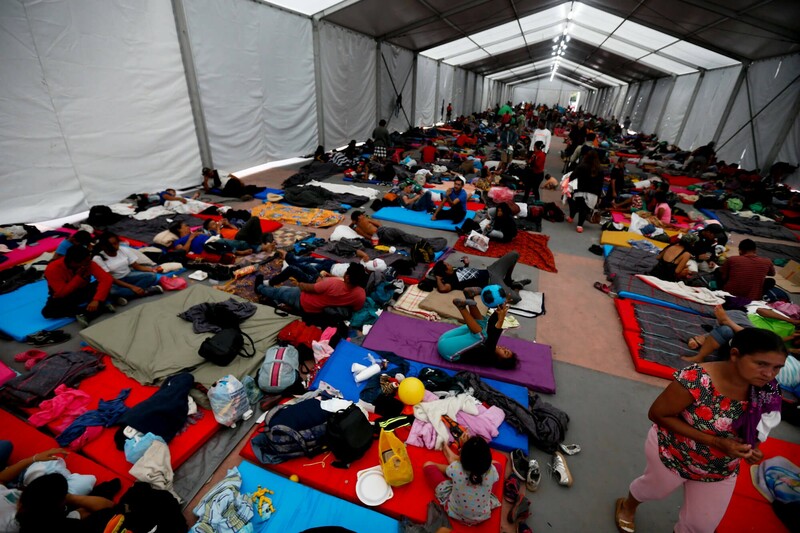 The Trump administration’s efforts to raise the credible fear standard have resulted in legitimate claims being denied early in the asylum process; before asylum-seekers have the chance to make a full case for their lives. If an asylum seeker establishes credible fear in an interview with an asylum officer, they are typically deported before receiving a full evidentiary hearing in front of an immigration judge. Jeff Sessions vacated a 2014 precedential decision by the Board of Immigration Appeals (BIA) in March of 2018. The BIA decision, entitled petitioners to a hearing before a judge to present evidence and clear up any errors or misunderstandings that occurred in earlier steps of the process. In vacating this decision, Sessions signaled to immigration judges that they are permitted to order asylum-seekers deported without affording them a court hearing in which to make their best possible case. Jeff Sessions’ decisions leaves at-risk migrants even more vulnerable by exposing them to treacherous conditions upon reaching their home country after deportation from the United States. Many of these migrants who sacrificed much on their pilgrimage, are seen as traitors or objectors by those who would do them harm in their home countries. This added stigma typically results in torturous conditions and the murder of entire families by the many violent gangs and militias migrants were initially seeking sanctuary from. The immigration process was a mess in dire need of reform prior to the Trump administration’s policies. With Trump’s team, headed by Stephen Miller, pushing an agenda based on an ideology of nationalistic superiority and not based on patriotism for the greater good, the process has not only become more complex but much more expensive to operate. The administration’s policy agenda comes at a much greater cost to taxpayers as well. Much more than reforming the system would. As long as the few are equally represented in the United States as the many, the approval of such expenses will continue unabated. The vast majority of Americans who disapprove of these actions are left unheard due to the silence of those who dare not speak up and hold this administration to account. Perhaps the most daunting aspect of the discussion about immigration and the pilgrimage of migrants from Central America is the oversimplification of the complexities of the immigration process leading to a huge lack of understanding of how things work, how much they cost taxpayers, and what it all really means. Until this ends, we may never see the much-needed reforms to a bloated and unaccountable system of immigration in the United States. The Truth About Immigration is a series dispelling the myths that are circulating about immigration that can be found here and here on Latino Rebels, and also on Medium here and here. A front-line anti-racism activist, essayist, and upcoming author; advocating for equality, justice, and accountability.